The Ink Trap: Day Three of October Krafty Peeks at Kraftin' Kimmie Stamps! Day Three of October Krafty Peeks at Kraftin' Kimmie Stamps! Welcome back to day THREE of our OCTOBER Kraftin' Kimmie Peeks!!! Today we are sharing TWO super cute new sets by artist Thais Narciso! They are called.......I'M SNOW HAPPY! and YOU'RE SO TWEET! Would you like to know who won the new stamp sets that we previewed yesterday???!! Well, you'll just have to wait until Saturday night at this month's ONLINE RELEASE PARTY!!! Hope you can join us for all the fun and excitement and prizes!!! We'll be releasing all the new stamps you've seen this week PLUS our fabulous new Winter Kardmaking Kit!! 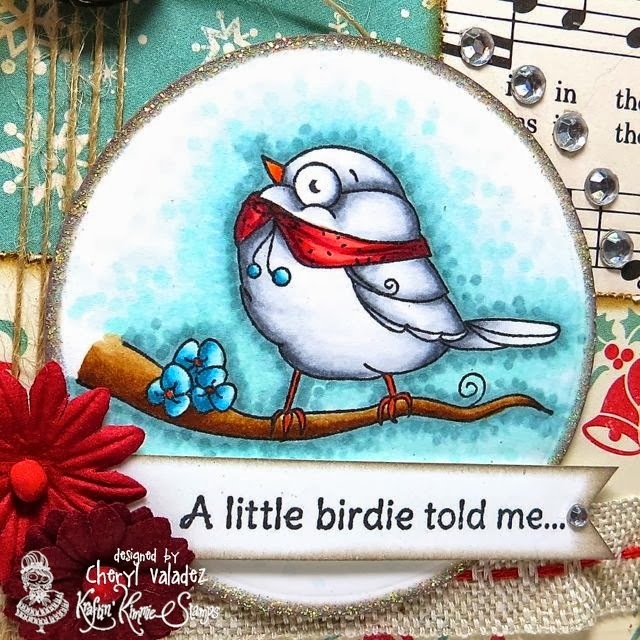 Oh my goodness - your background shading around the bird - amazing! 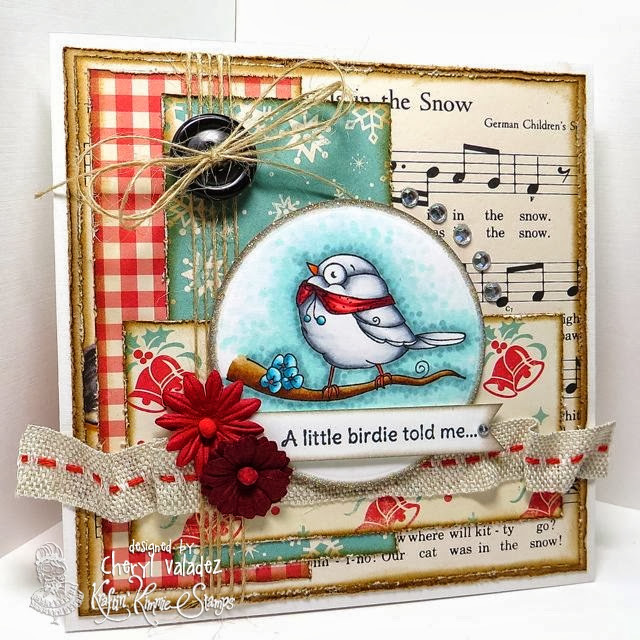 Beautiful card design and love these "cutie pie" birds! That ribbon is marvelous, darling ! Adorable image and love the distressed edge on the paper and the blues and reds together. Gorgeous card! I love your coloring and the music paper is such a great touch. Gorgeous!! Awesome coloring!! Fantastic papers!! Love it! OMG...this is just oh so cute...lovely colours...and papers...wonderful job !! Thanks for sharing and inspiring. this is an adorable card, the snow globe looks so awesome!! really so much depth there! !